There are many options available for TV viewers and radio listeners on Android, while Android TV boxes are not as sleek, well designed, or user-friendly as the Apple TV or Roku, they are far more flexible, customisable and Open Source. Whether using an Android phone, tablet or TV box, there is an abundance of free apps available to cater for your TV and radio needs. There is the problem of ‘Geoblocked’ apps such as BBC iPlayer, this is easily solved by using an alternative app store instead of Google Play. Most apps can be found and downloaded from Aptoide, there are no geoblocking restrictions. Please note that ‘rooted’ devices cannot be used for Sky Go or NOW TV. The term is not official, and should not be confused with Android TV from Google. As the category is not standardised, the hardware inside could be anything Android-compatible, take care when choosing an Android TV box, they come in many variations. For those wanting a permanent source for live TV viewing, an Android box with an Ethernet connection would be the best solution. Firstly, it will save using your phone, avoid having to use a Wi-fi connection and Miracast. Avoiding wireless connections, should decrease buffering and will allow (app permitting), the use of better larger bitrate streams. Google Play, is a digital distribution platform operated by Google. It serves as the official app store for the Android operating system, allowing users to browse and download applications developed with the Android SDK and published through Google. Google Play also serves as a digital media store, offering music, magazines, books, films, and television programmes. For most downloads, Google Play will be sufficient, unfortunately, some of the most desired apps for British TV and radio are restricted to UK only ip addresses (Geoblocked). There is the option of using a Virtual Private Network (VPN) to circumvent this obstacle, an easier and cheaper option is to use Aptoide. There is no requirement that Android applications be acquired from the Google Play Store. Users may download Android applications from a developer’s website or through a third-party alternative. Play Store applications are self-contained Android Package files. Play Store does not install applications; it asks the device’s PackageManagerService to install them. The package manager becomes visible if the user downloads an APK file directly into their device. Applications are installed to the phone’s internal storage, and under certain conditions may be installed to the device’s external storage card. An APK file is the file format used for installing software (usually games or apps) on the Android operating system. 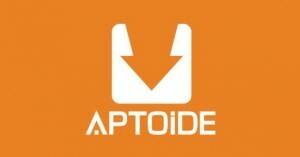 Aptoide is a distributed marketplace for applications (apps), which runs on the Android operating system. In Aptoide, unlike the default Google Play Store, there is not a unique and centralized store but each user manages their own store. The store does not geoblock apps such as BBC iPlayer, nor are there any device restrictions as is the case with the Play Store. The Android application used to access the stores is open source, and there are several forks such as F-Droid and ApkTor. The communication between the client and servers is done using an open protocol based on XML. The name Aptoide is formed from the words: “APT” (the Debian package manager) + “Oide” (the finalisation of Android word). There is a Radioplayer app available for Apple iOS devices, please note that some stations are Geoblocked on the app, though available through the desktop app without using a Virtual Private Network (VPN) in some cases. Use the Search box at the top of the app to search for stations, or look under Live radio to browse alphabetically. Use the drop-down menu to see programme information, along with options to add the current station to favourites, Tweet on Twitter or share on Facebook. Browse stations alphabetically under Live radio. Bitrates vary on Radioplayer and are dependent on the individual broadcasters, under settings there is an option for High quality (when possible). TuneIn Radio offers users the ability to listen to streaming audio of over 100,000 radio networks and radio stations worldwide, including AM, FM, HD, LP, digital and internet stations. Additionally, over four million podcasts are available for streaming on TuneIn. TuneIn’s directory carries the most comprehensive list of sports, news, talk, and music from around the world. 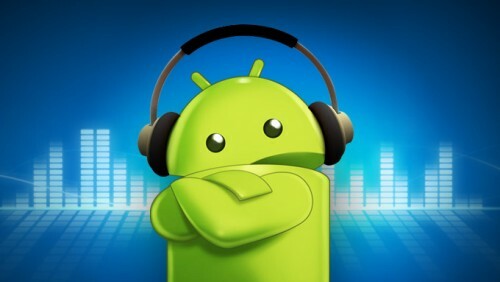 TuneIn Radio is available as a free app on all virtually all Android devices. There is a one-time pay version, “TuneIn Radio Pro”, which allows you to record anything heard through the TuneIn service to play back at any time. Recordings made by TuneIn Radio Pro are stored on the device and cannot be played on other devices. The bitrate that TuneIn Radio Pro provides varies according to the quality of the data connection and the radio service in question. A small blue box next to the radio station or programme lets you know what the bitrate is – typically this is between 64kbit/s and 192kbit/s. You can listen to BBC Radio using BBC iPlayer Radio through most Android devices. On BBC iPlayer Radio, all of the BBC Radio stations are available to “listen live” and the majority of their programmes are available on demand. BBC National Radio, the BBC World Service, BBC Nations and BBC Local Radio are all available on Apple iOS devices. All BBC services are now available in HLS using the AAC codec, this is a native Apple format. How much data will listening to BBC Radio use on 3G & 4G? 30 minutes of radio may consume up to 30 MB of data. 60 minutes of Radio may consume up to 60 MB of data. There are two versions of the BBC iPlayer Radio app available, one for mobile phones and a tablet version. Both apps worked flawlessly on an Android TV Box. That said, the graphics on the mobile version are not ideal for larger screens, for a better user graphical interface, install the Tablet version of BBC iPlayer Radio, this is available for download on Aptoide. BBC iPlayer is an online service which allows you to play TV and radio programmes from the 30 days. You can watch live BBC channels on iPlayer, as well as a selection of programmes that have already aired. On-demand services, like BBC iPlayer, allowing you to play programmes whether they are live, or have already been broadcast. The BBC uses adaptive bitrate technology, BBC iPlayer will automatically drop down from 1500 kbps to 800 kbps, and then down to 500 kbps, as needed. The default video quality on BBC iPlayer is 800 kbps H.264, audio is 96 kbps HE-AAC (same quality as 192 kbps MP2). This applies to both live TV streams and to VOD content. How much data will watching TV or VOD on BBC iPlayer use? Here are some file size estimates. You can use these to calculate how much data you might be using when watching or listening to BBC programmes over 3G or 4G. Standard quality is the default setting for iOS devices. For smoother streaming in low bandwidth connections go to the ‘Settings’ icon in the iPlayer app and select ‘Video’. Set to ‘On’. If you leave this on it will automatically start at low bandwidth and depending on your connection speed will upgrade after 15 seconds. BBC iPlayer works well and looks good on an Android TV Box. There were no problems viewing live streams or VOD content through the app. ITV Hub for Android lets you watch a wide selection of catch up and live ITV content on Android devices. As part of ITV free, ad-funded catch-up service, you can watch your favourite ITV programmes for up to 30 days after broadcast over WiFi or a 3G/4G mobile data network. You must be in the UK to view ITV programmes. ITV are unable to show their content to users outside the UK. If you are in an STV or UTV region, you will only be able to view ITV2, ITV3, ITV4 and CITV programmes, or just change your postcode for full access. ITV Hub uses adaptive bitrate streaming, with four streams available depending on your Internet connection, 1200 kbps, 800 kbps, 600 kbps, and 400 kbps. This is the same for both live TV and VOD content on ITV Hub. Each time you access one of the live channel streams you may be required to watch some adverts at the start of playback. You will then see adverts during the broadcast as you would if you were watching on TV. Android users can access live streams using a web browser, live streams are not available on the Android app. All ITV content is now available over both wi-fi connections and mobile data networks. Please be aware that streaming video over mobile networks may incur additional costs. Playback quality is dependent on your device and network capabilities. ITV Hub is not compatible with an Android TV Box, though it was possible to download and install it from Aptoide. The graphical interface looks good even on a large screen. 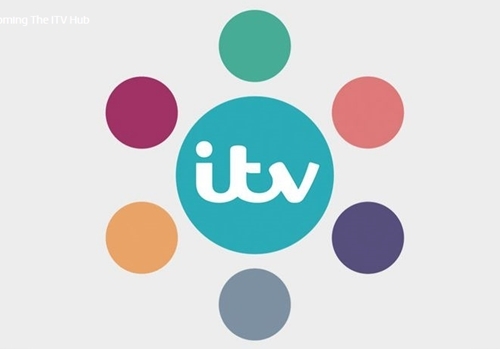 Although the commercials played, it was not possible to view any live streams or VOD content on ITV Hub. If you know of any workarounds for the ITV Hub, please contact the site to have them included. All 4 features three sections to its homepage that will showcase the best of our content and help you navigate quickly to where you want to go. All videos content on All 4 is all H.264 MP4 format. Now: Live streaming of our TV channels. Plus premieres of new shows and returning series – available even before they’re shown on TV! Available on All4.com. On Soon: Breaking news about new and returning shows. Plus trailers, clips and exclusive extras from upcoming programmes and films. All 4 replaced 4oD on March 30, 2015, Channel 4 does not currently have an All 4 app for Android, support is coming in 2015, no release date for the app has been announced. All 4 is currently available for PC and iOS devices. The old 4oD app is still available and working at the time of writing. Although possible to download and install this app from Aptoide, the app remained in Offline mode and no content could be loaded or viewed. If you know of any workarounds for 4oD, please contact the site to have them included. 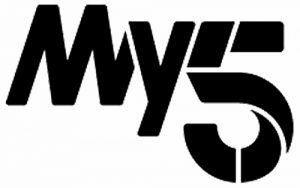 My5 is a service from Channel 5, bringing you your favourite shows from Channel 5, 5STAR, 5USA and Spike for free. The My5 app was not compatible with the Android TV Box, it was possible to download and install it. The graphical interface looks good on larger screens. Sorry, the Android Media Player encountered a problem playing your video. Is there a workaround to this problem, another player or is there a missing codec? Please contact the site if you know how to solve this problem. My5 wanted a Wi-Fi connection when connected to an Ethernet cable, the app wanted wi-fi. A very strange feature for an on-demand app that requires bandwidth. Mobdro has two versions: Freemium and Premium. Freemium is completely free, the Premium version has extras features, like capturing streams and is free of ads. MOBDRO does not have any access to your contacts or other personal information on your device. The app contains some good quality streams from the main British terrestrial channel. Many of the UK streams are from FilmOn, others are not. There is also some other content that will be of interest to sports fans, though for legal reasons these cannot be mentioned. There is far more than just UK channels on Mobdo, there are some excellent US streams from ABC, CBS, USA Network and quite a few others. There are also two Irish streams available, one from TG4 in poor quality and the other from TV3 Ireland which is in good watchable quality. There are also many German, French, Italian and Spanish channels available.